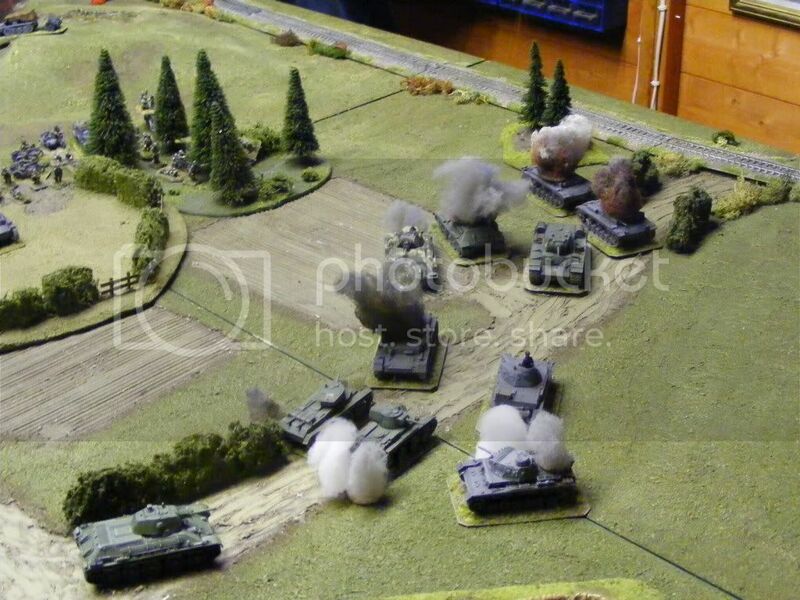 Germans........Phil and Dave, Russians.........me and Martin. 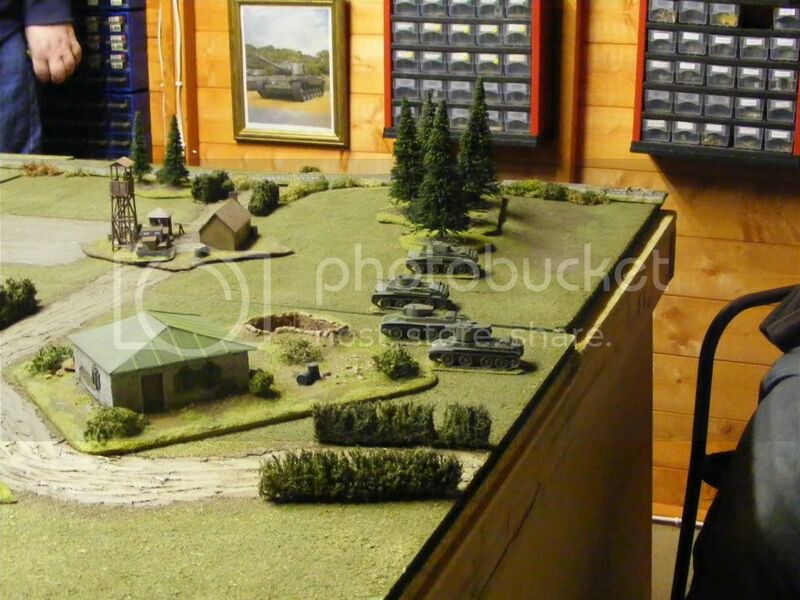 Kamenewo from the RF Russian front booklet. 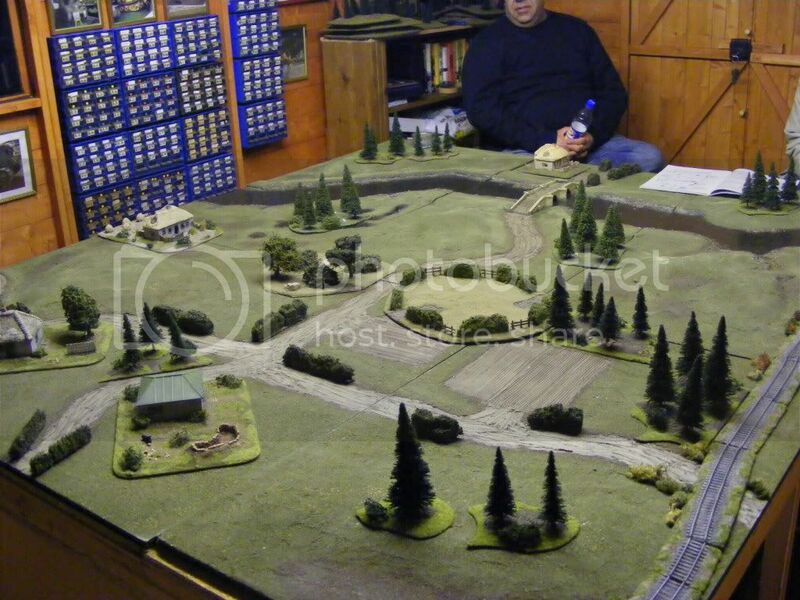 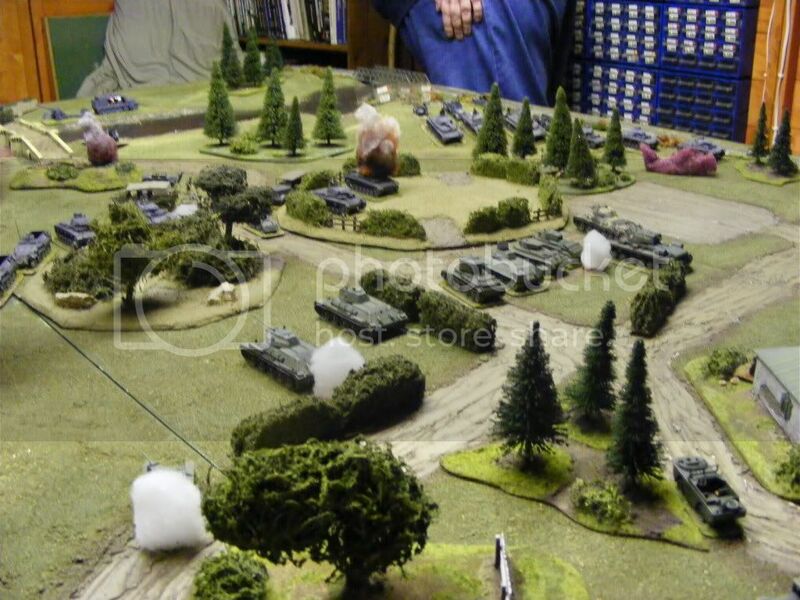 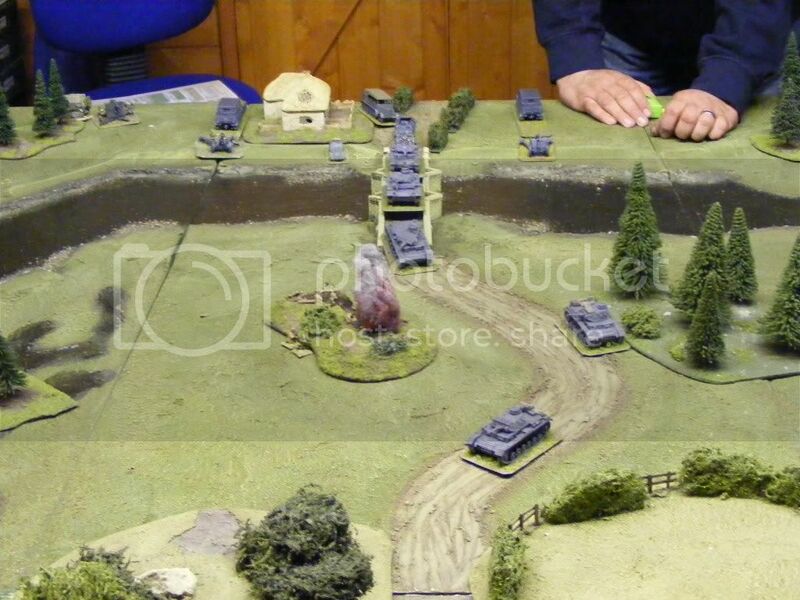 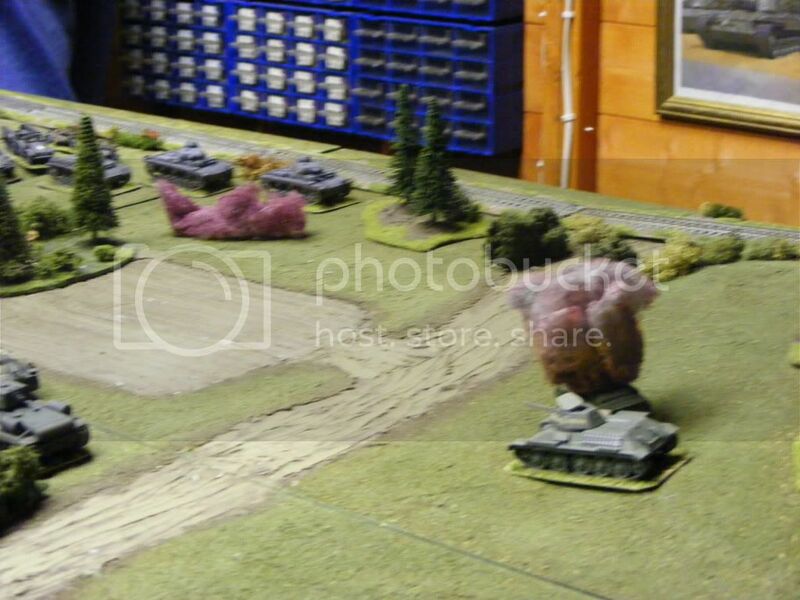 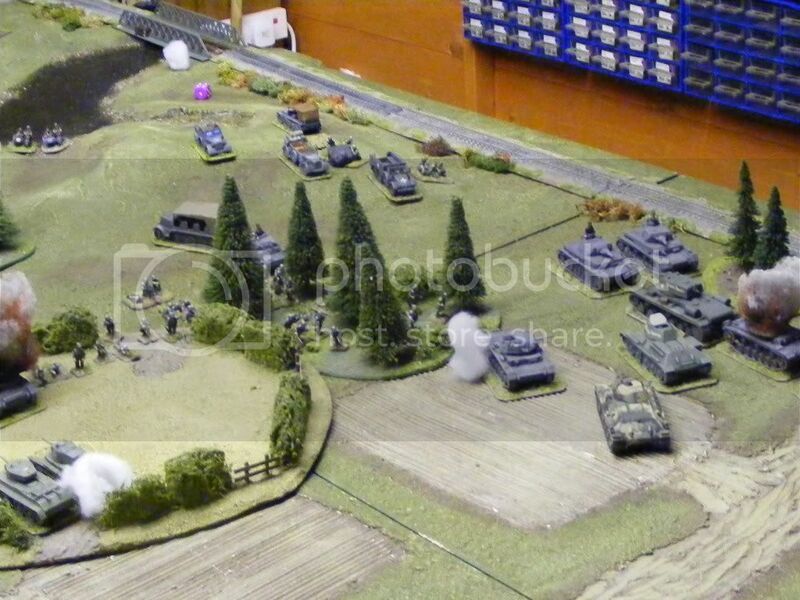 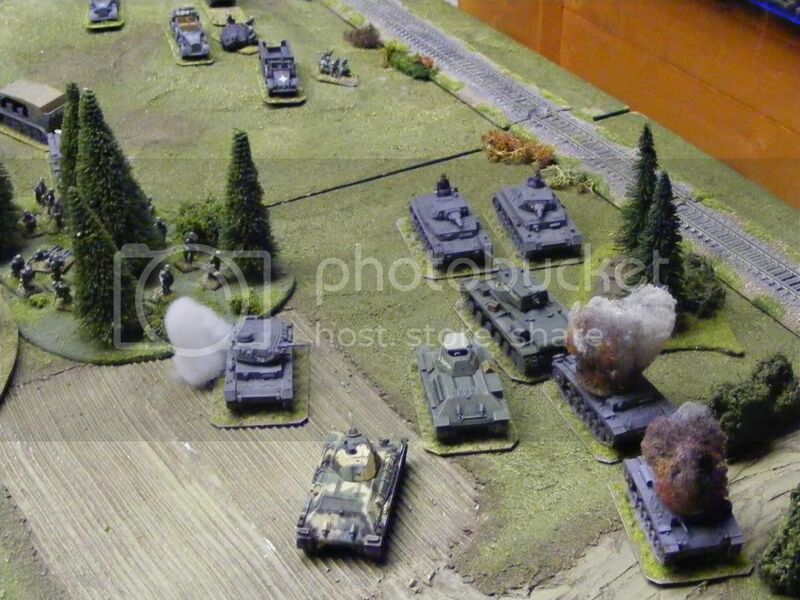 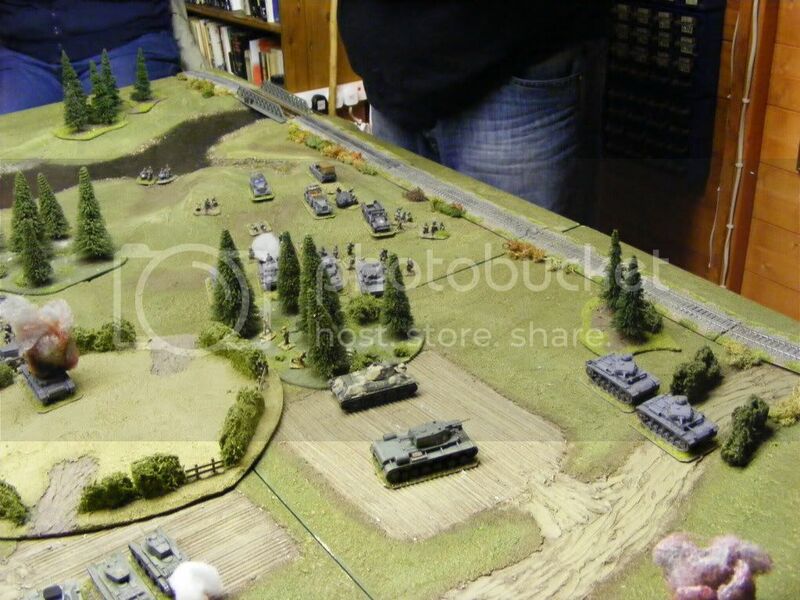 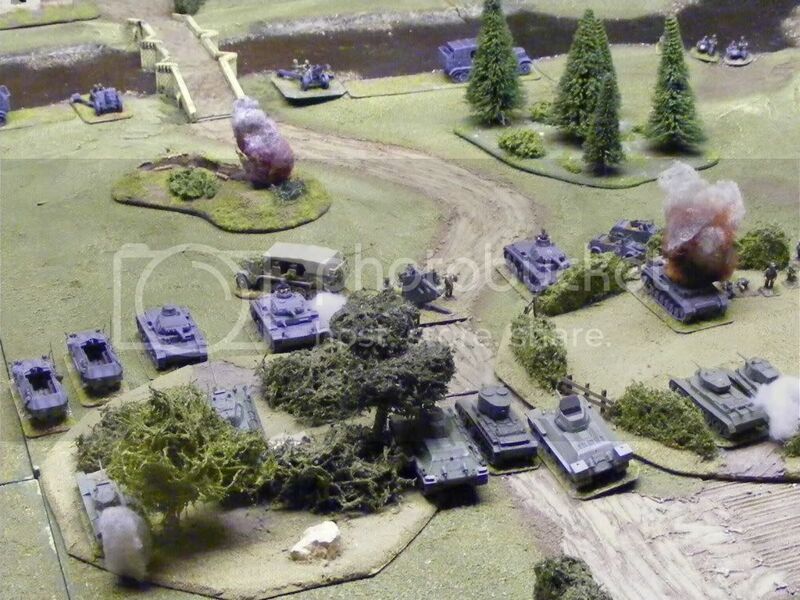 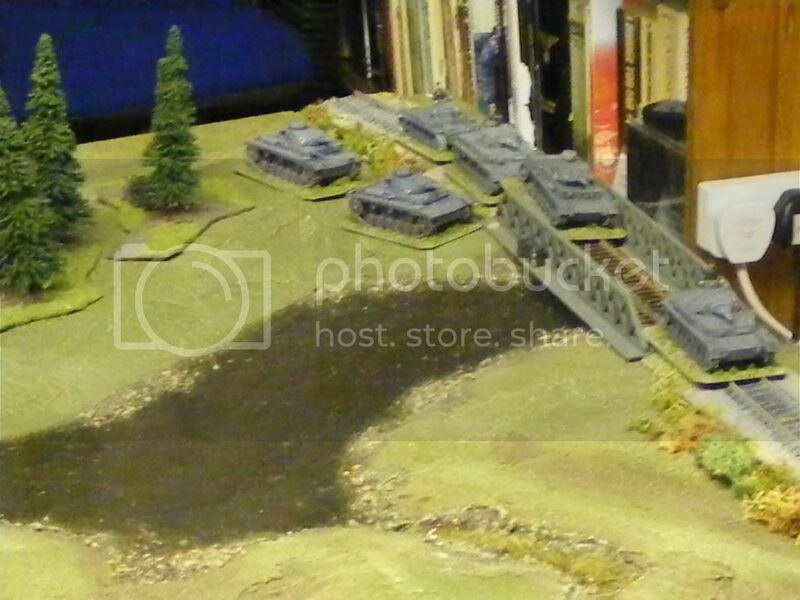 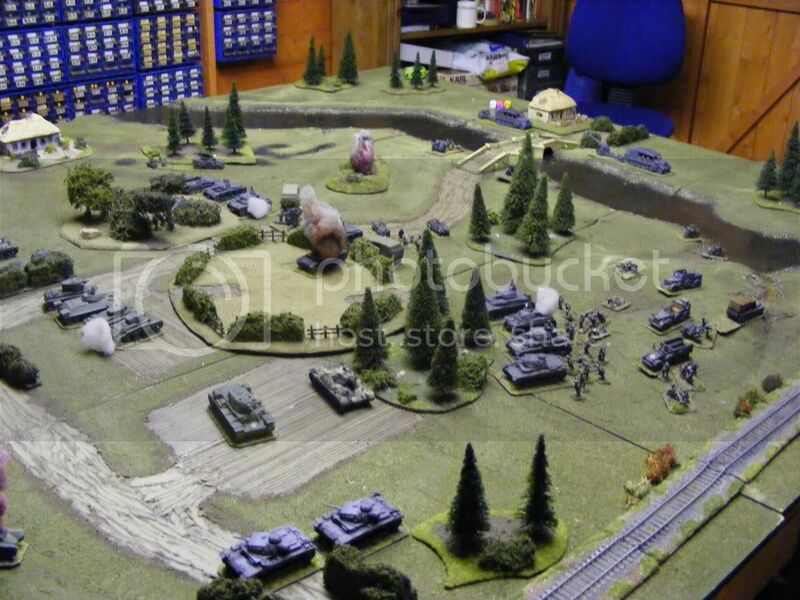 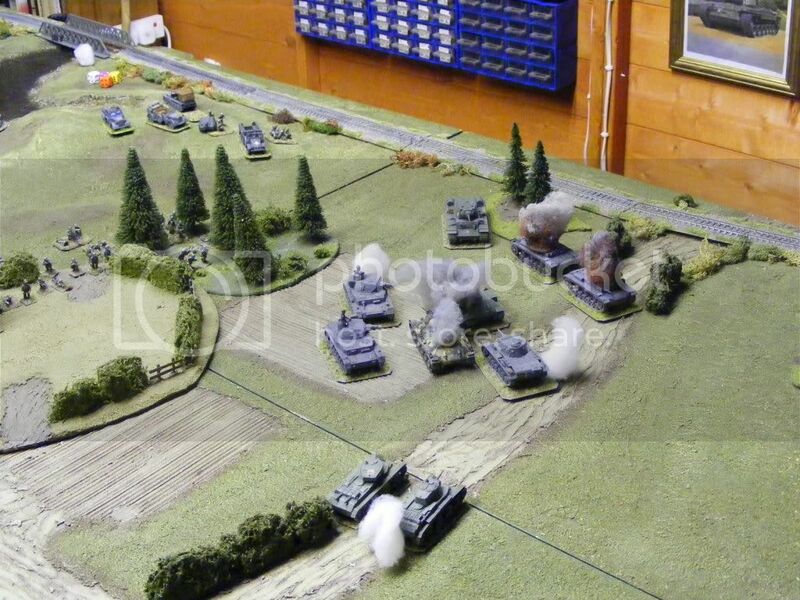 Enter the German tank brigade........a twin axis advance. 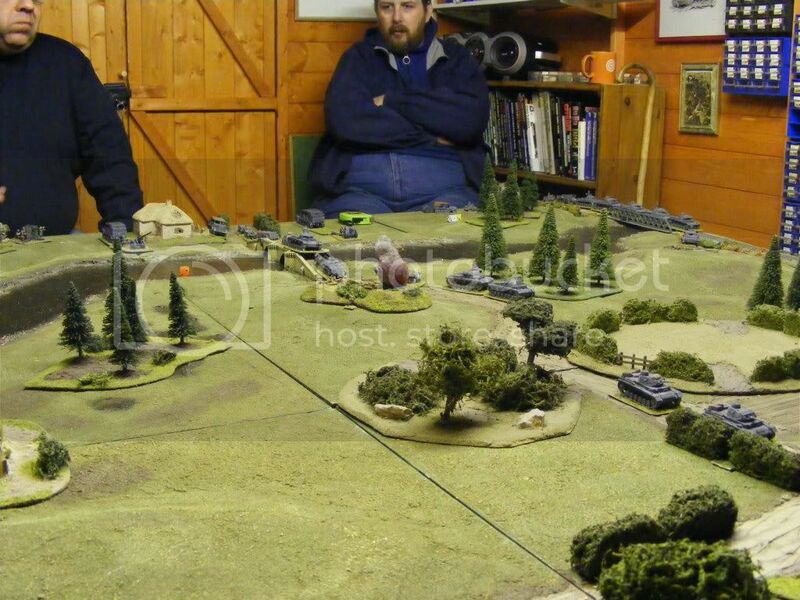 Grim Russian commanders survey their advance....(lighten up boys!!!!!). 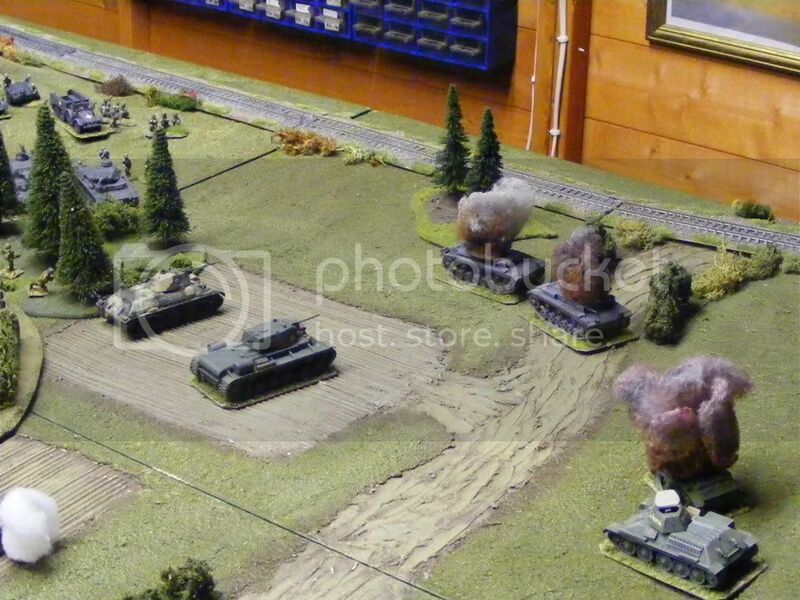 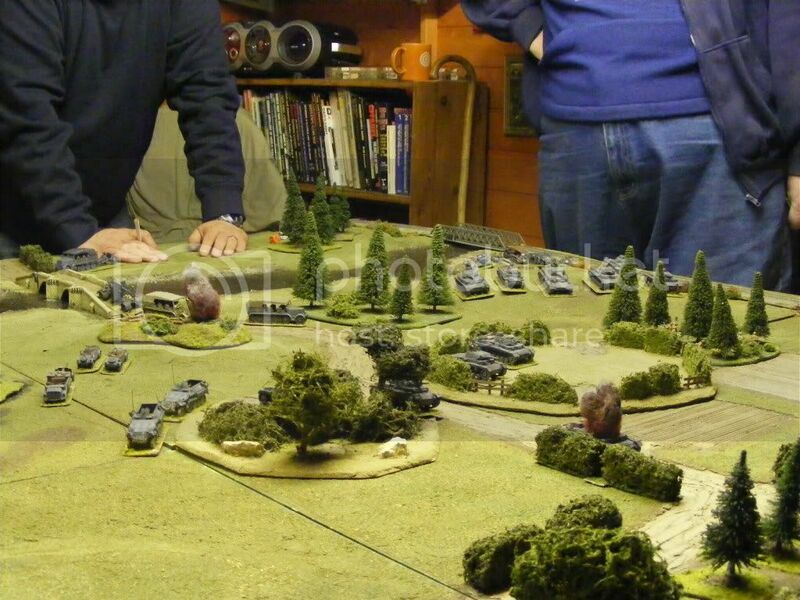 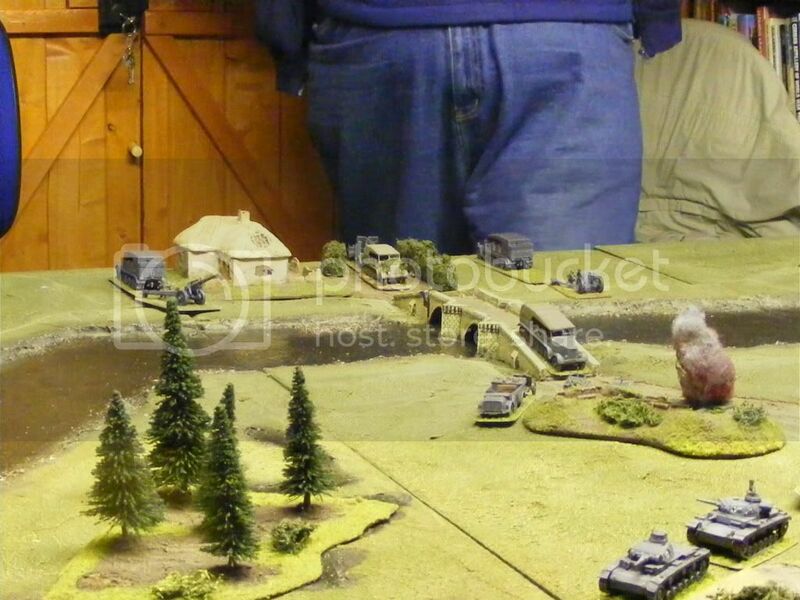 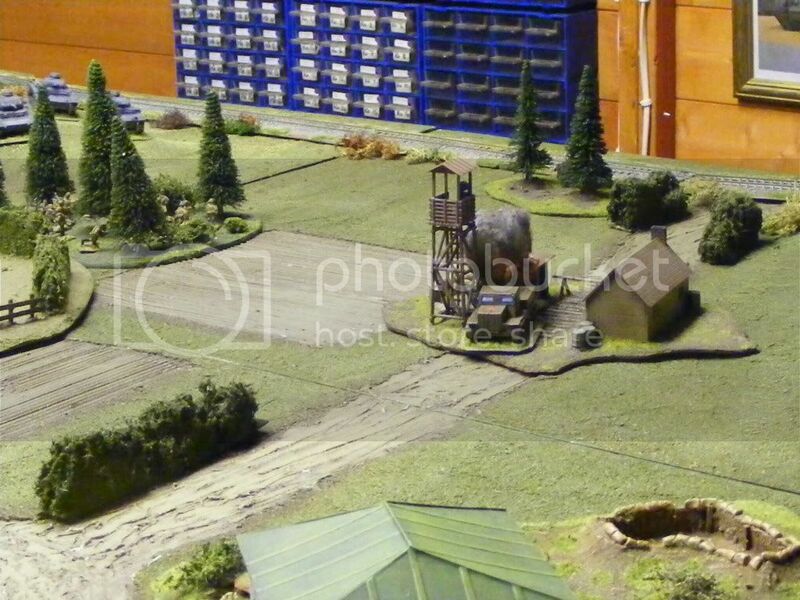 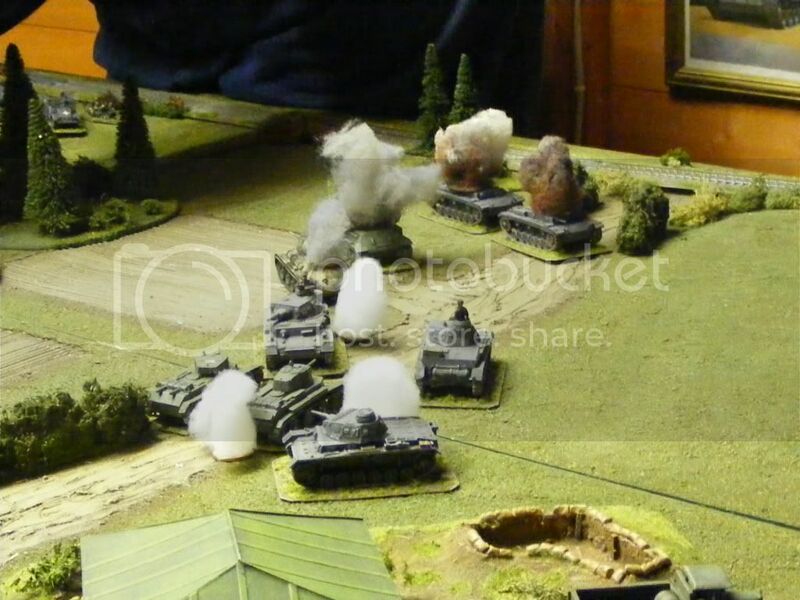 The point Panzer III brews, courtesy of the 45mm A/T gun deployed to the right. 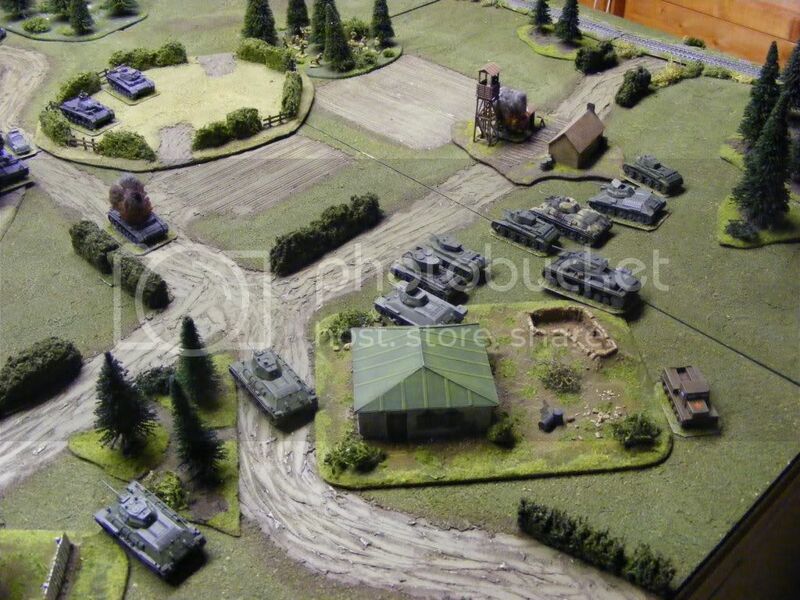 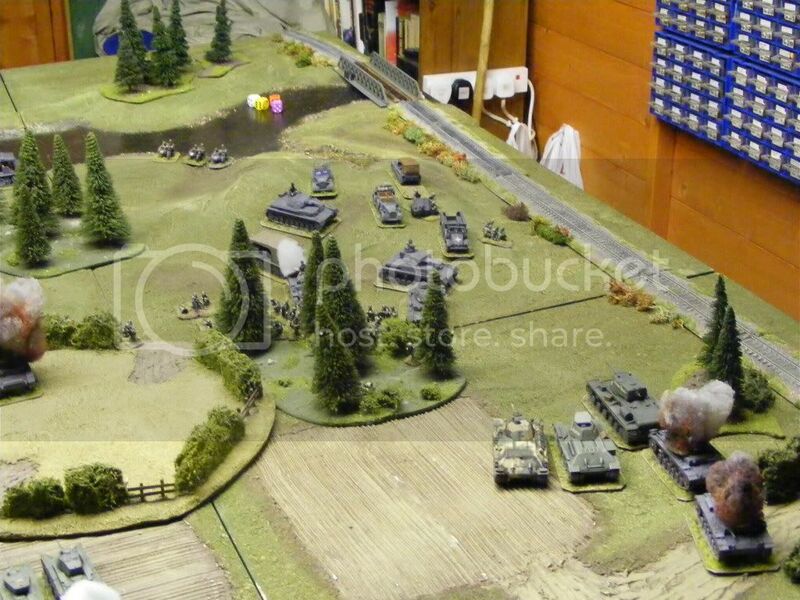 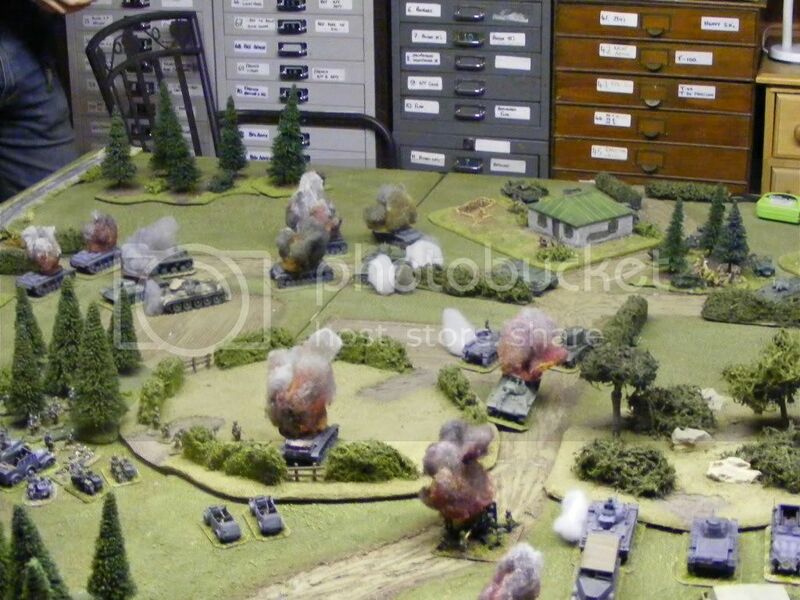 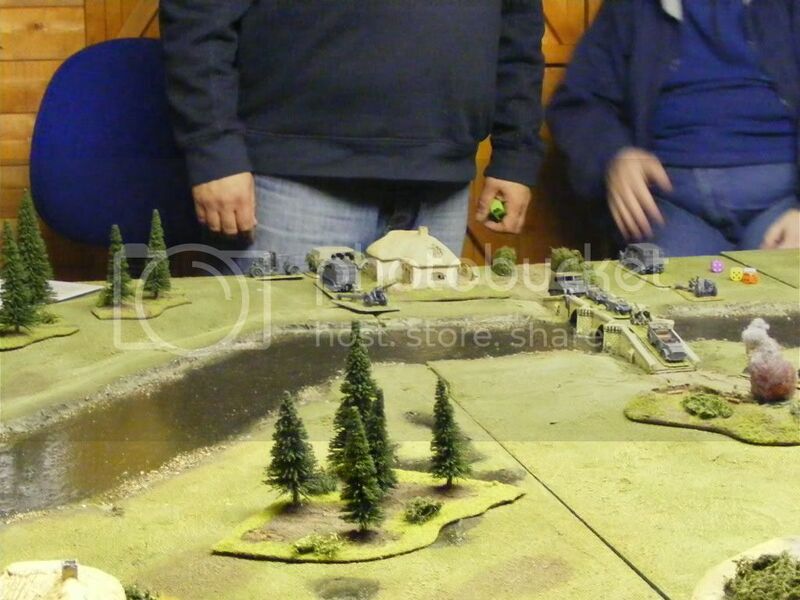 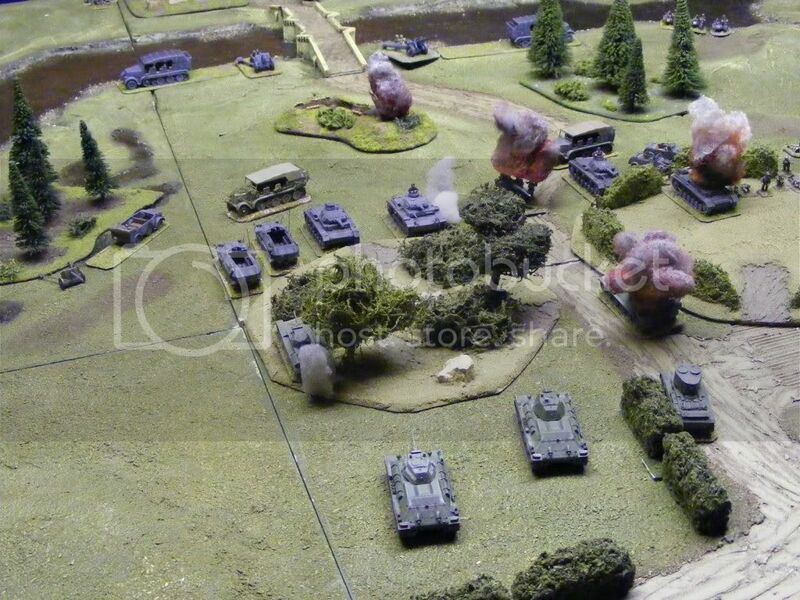 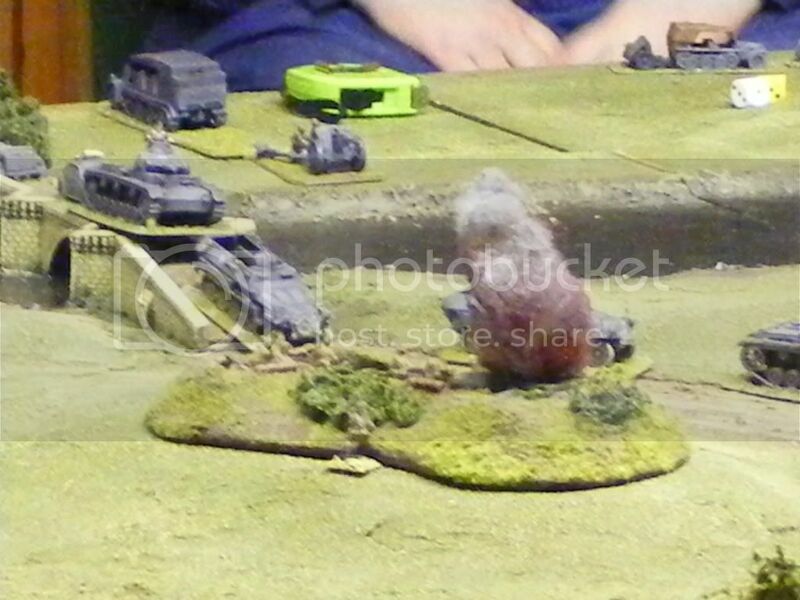 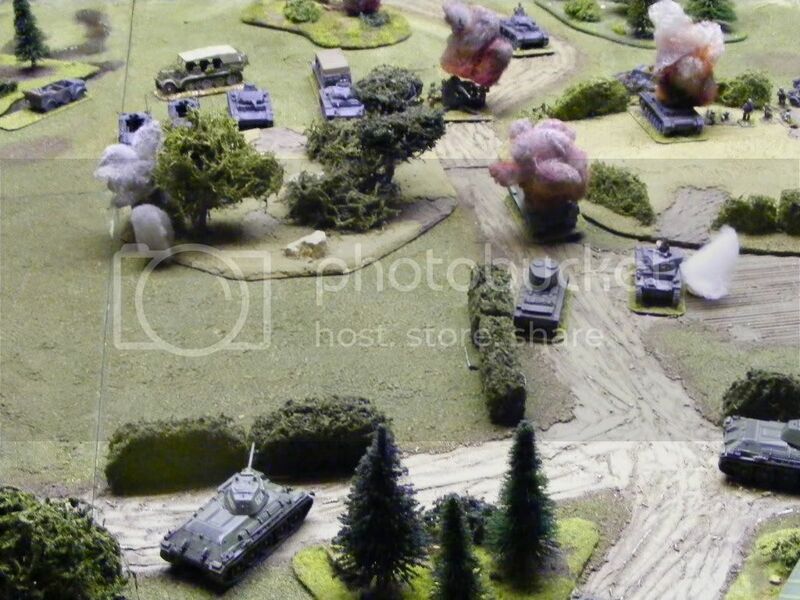 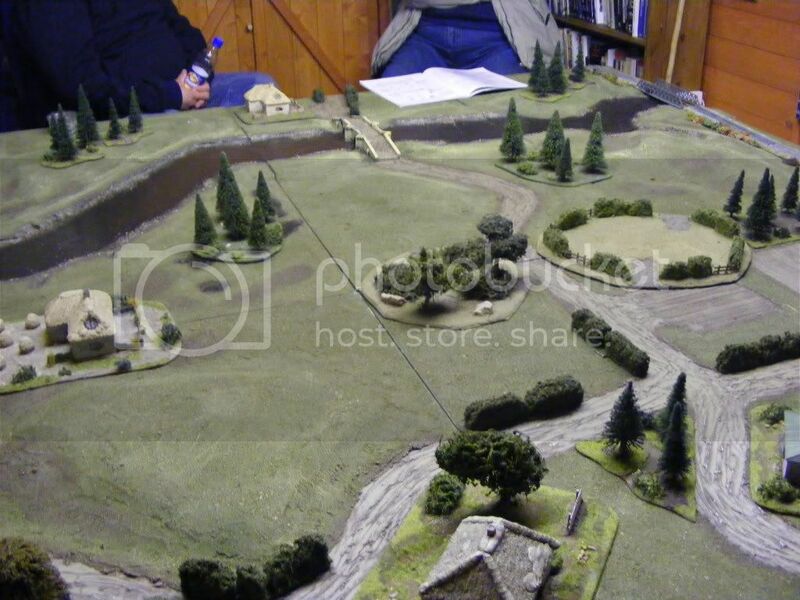 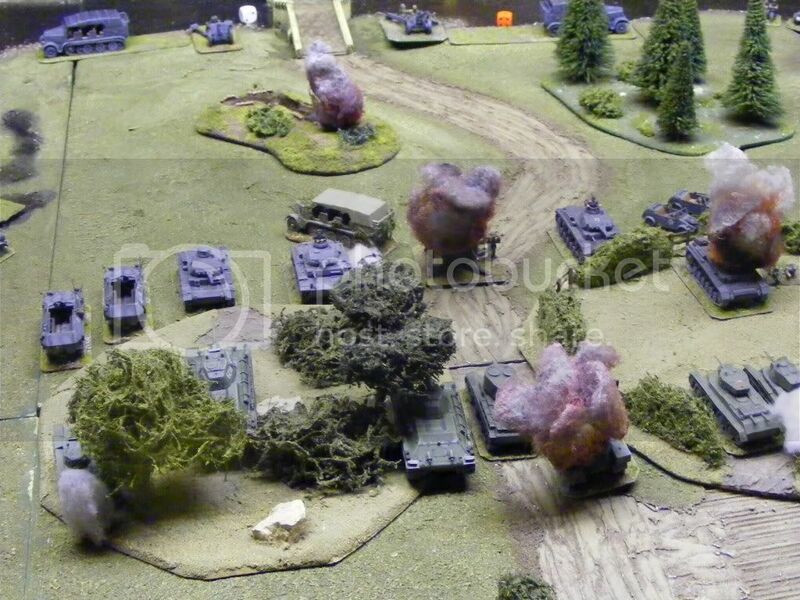 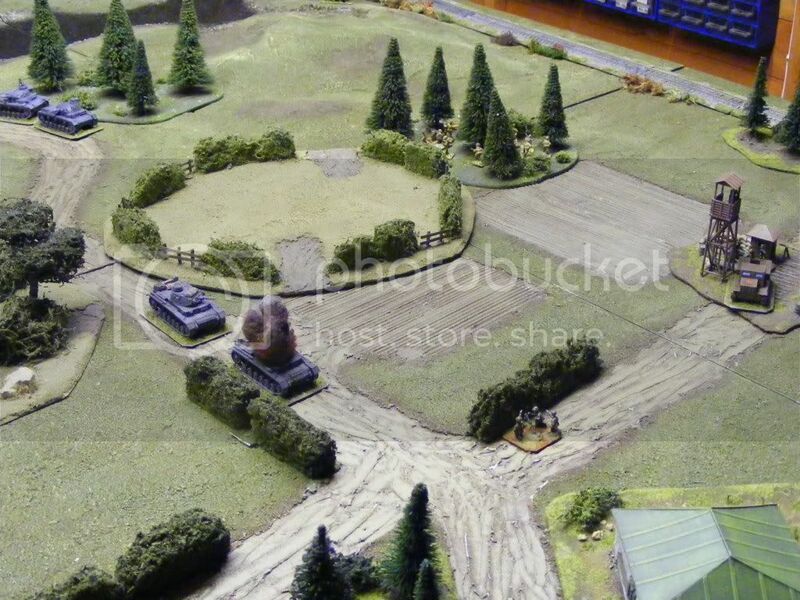 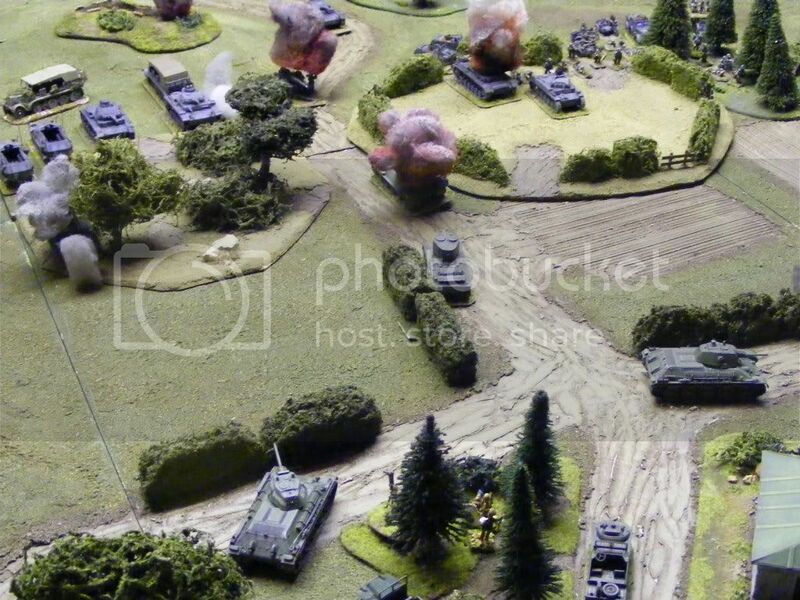 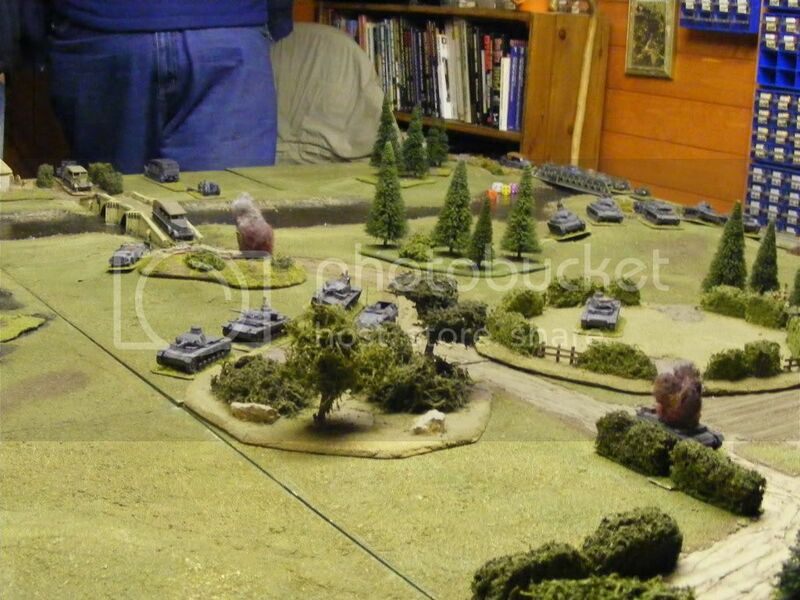 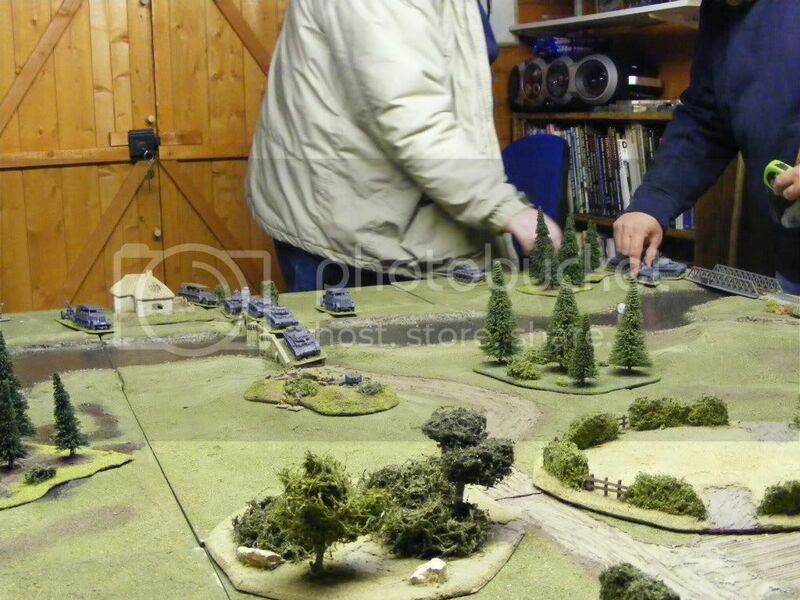 Germans start to deploy along the ridge, whilst the few inf at the T-26 emplacement get hammered. 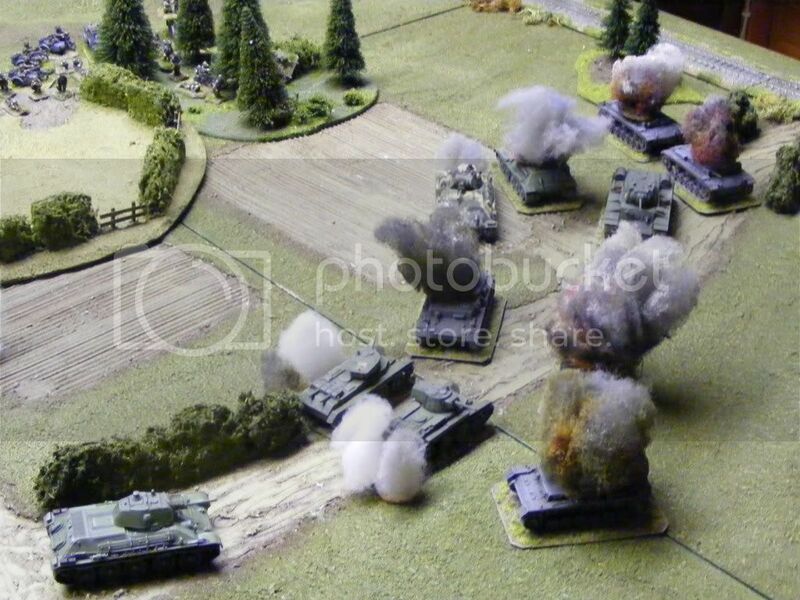 Having forced the Russians off the ridge crest, the Russians have to halt and deal with the German flank attack. 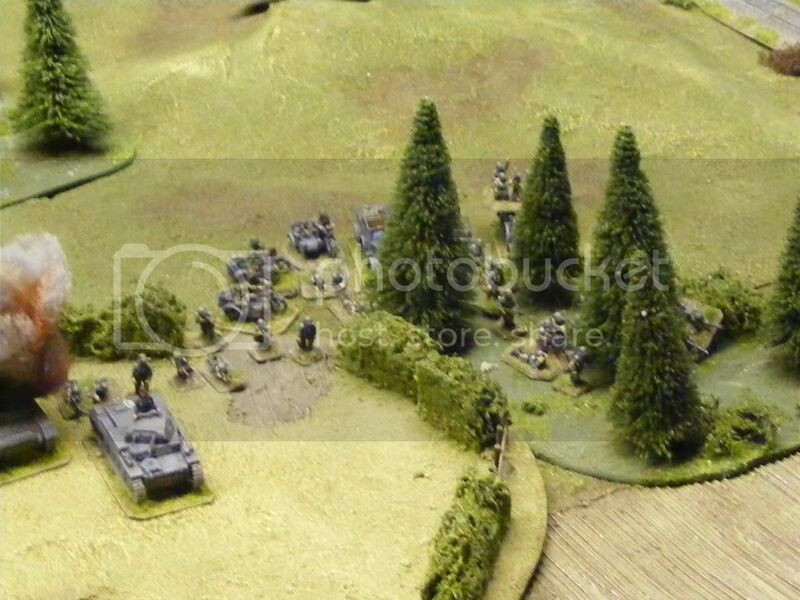 At last the Russians stabilise the flank, no Germans left there, but lots of heavy and light damage to the Russians. 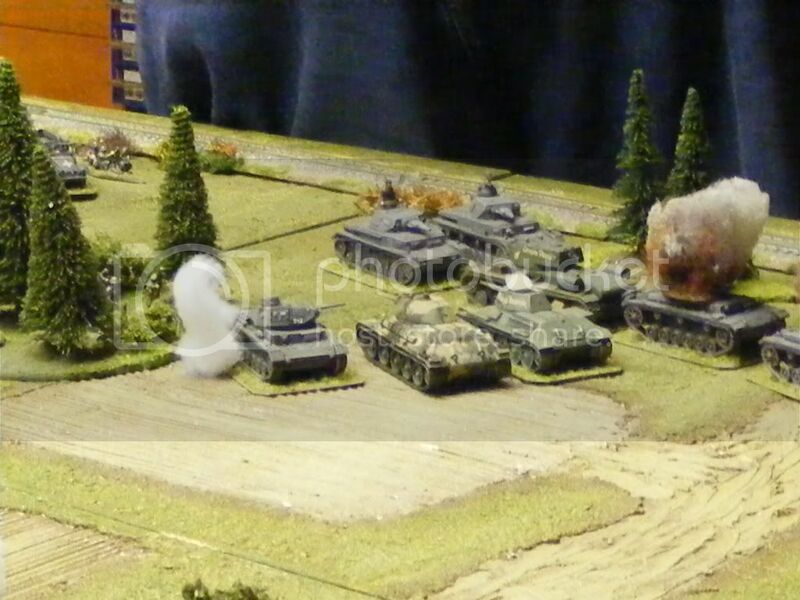 The Germans try one more thrust in the centre, bu to no avail. 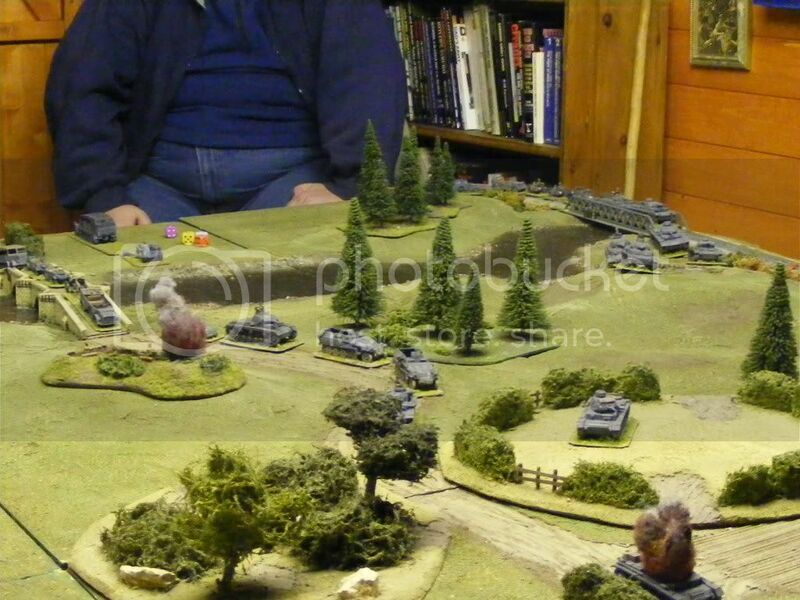 A game of thrust and counter thrust..........great fun, and a bit of a nail biter for sure!